As of April 3, 2013, Disney closed down LucasArts and assumed development of any Lucasfilm properties. A look at the legacy left behind by the studio and its 30-year legacy. As former LucasArts composer Lesse Harlin put it this past Friday, “LucasArts died today. It was 30 years old.” A studio as old as I am, whose games were influential in my development as a sci-fi nerd. The eulogy was coupled with a set of images of former studio employees. It was with heavy heart that I realized they will never make a game again. Sure, The Force Unleashed 2 wasn’t their best, but I won’t judge them based on their losses. My memories will be ones of love. 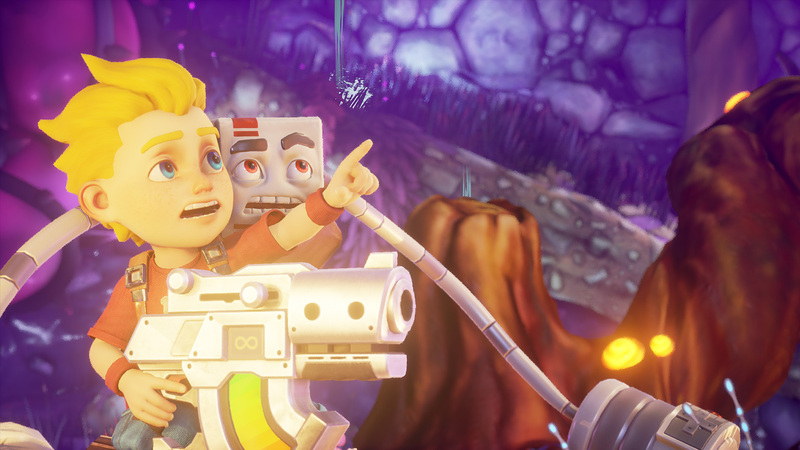 The games worth going back to time and again – games that cultivated me as a gamer. That turned me into the Star Wars geek I am, and welcomed me into the cozy bosom of the Extended Universe. Sorry, Scott – Star Wars Kinect didn’t quite make the cut. Starting this list from the best and working back, I found myself at a cross-road in picking number five. Had I enjoyed The Force Unleashed, or did having to pull that star destroyer from the sky effectively kill it for me? The story wasn’t memorable either. What about KOTOR II? The story had so much potential, but did the bugs and crumbling ending undo it? Maybe. I’ve played SWTOR since I screamed when I was accepted in the closed beta a year and a half ago. I still have fun, and it makes me love the quirks about the Star Wars Universe even more. Keep in mind though – I am not an MMO gamer. I realize some of the gameplay and social mechanics turned a lot of seasoned MMOers away. But having someone that I play with all the time enabled me to immerse myself in the completion of the various storylines, and it has been an exceedingly gratifying game. Whether they would have been better suited to individual or episodic games, I’ll leave up in the air. After playing other Star Wars games for years, SWTOR took me back to the magic of the #1 game on this list – immersion in an alien universe and interaction with engaging characters. I found myself loving the PvP aspect offered through the warzones too, which is something I ha not expected. But at its core, SWTOR has been a storytelling adventure, with each class having plot twists I didn’t see coming. Plus, whoever gets tired of making Alderaan jokes? What more does anyone want than to be as a student of their own race and gender at Luke Skywalker’s academy on Yavin IV, studying under the tutelage of Kyle Katern? Equipped with a lightsaber from admission, we were given a top notch education in combat and force mechanics. 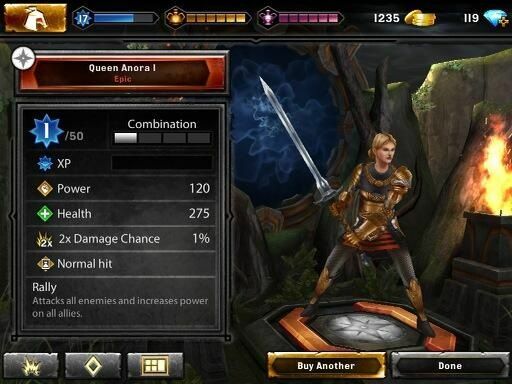 Rain sizzling on your blade as you fight enemies and leaving scorch marks in your wake! Alas, such an education is no longer available for our youth. Star Wars Jedi Knight: Jedi Academy was released the same year as Knights of the Old Republic, and brought with it a focus on lightsaber combat and force powers (ahh force lift into the lava, please). Arguably, it had some of the most enjoyable lightsaber combat that came out of the Jedi Knight games, and when coupled with a story progression that involved sith artefacts, and dark and light side endings, it stands out as one of the more memorable games produced by LucasArts. Star Wars: Rebel Assault was a few years old by the time I got my hands on it. If I close my eyes, I can still see the route your fighter takes as it swoops for an attack run on the star destroyer. I was terrible at it – it makes my shoulders tense just thinking about how long it took me to get past some levels, but that doesn’t change how much fun I had playing it. Originally released in 1993, what made Rebel Assault special was also the inclusion of footage and music from the original movies. To me, the right music can make a good game even better (Total Annihilation anyone? ), and that holds true here. I’d cultivated a love for Star Wars at an early age due to my wookie big older brother, and this nurtured it even more. I accept the caveat that another of the Monkey Island series might be more deserving of this slot, but I had to go with my gut for this one – and go with the game that sticks out most in my mind. The first time I played LeChuck’s Revenge, it was in a friend’s computer in their basement when I was a teenager in high school. We had just purchased our first computer at home, and I was discovering the world of PC gaming. I’d grown up under the wing of my older brother, who to this date has probably owned half of the gaming consoles out there. A right proper upbringing. 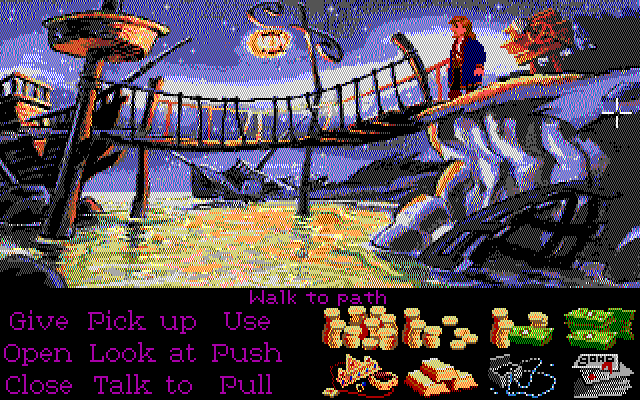 I lost sleep playing LeChuck’s Revenge at home – the crash of lightning as Threepwood digs up a grave in the cemetery, the paper with Largo’s spit (yech), and me wondering, is that really how they made penicillin? It was a lark. I had tons of fun and it was memorable – I’m sure for more than just me. This should come as no surprise. The idea of choosing my path, light or dark, mingled with the capability to play the mysterious stranger (can you hear the arena announcer?) as a woman was what hooked me on KOTOR. Revan will always be a woman to me, canon be damned. And I remember that climatic moment when it was revealed who the PC really was. It’s a defined gaming moment in my memory. And what’s not to love about HK-47? 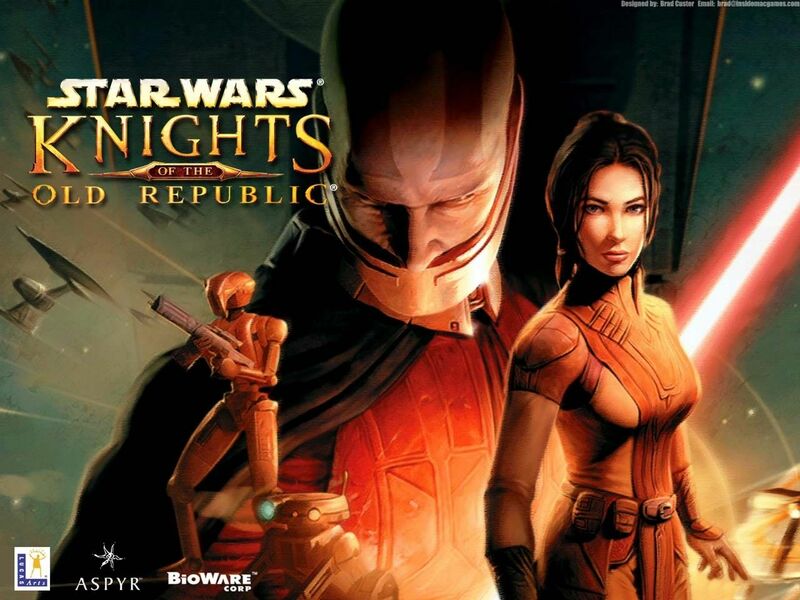 Knights of the Old Republic stands out as a fore-runner to modern role-playing games, and I’ve been hard pressed to find anyone who didn’t enjoy it. The engaging story left its mark on me and influences my costume-making to this day. Through LucasArts collaboration with Bioware, it is still a game that I can pick up and play a decade later, and enjoy the gameplay, character interactions, world, and story-telling just as much. What are your thoughts on the closure of LucasArts? Any memorable gaming moments or favourites? 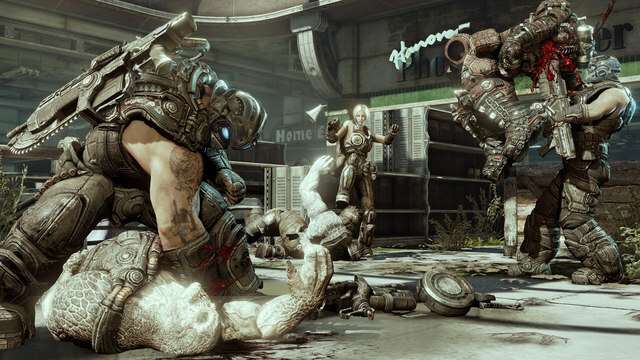 Just who are those people in the new Gears of War 3 screenshots? Such a bummer. I played some games when they game out, and was late to others. But there are so many good ones to remember like Maniac Mansion, The Dig, Shadows of the Empire, Grimm Fandango, just to name a few. I’ve probably played more Star Wars video games than I probably should have, but I always thought Republic Commando deserved more attention than it received. And yeah… Kinect Star Wars was all over the place with brutal (sometimes glitched) achievements for what should have otherwise been a family friendly game. I’ll choose to remember the good times. They made a lot of great games, but I suppose they had a good run? I was really interested in seeing what 1313 might have been, though. Ohhh the what ifs. Edward McSwain III liked this on Facebook. Michael Williamson liked this on Facebook.